Produktinformationen "AR: HypotULTRA (7800) DC Hipot Tester"
The best dielectric analyzer just got better. We've combined superior testing functionality and ease of use, with an innovative sleek design that showcases all of our productivity and safety enhancing features. Our touch screen capability allows you interact with your instrument as intuitively as you would with a smart phone. This simplifies setting up your system and test parameters. You can also easily drag, drop and swap test screen meters to prioritize the ones you want to see. Get even more out of your instrument with direct barcode connection, this all-new feature increases efficiency and production throughput. The addition of on-board data storage takes the pain out of your data transfer with flash drive support and local data storage. HypotULTRA will improve the productivity and safety of your production line in every single way. 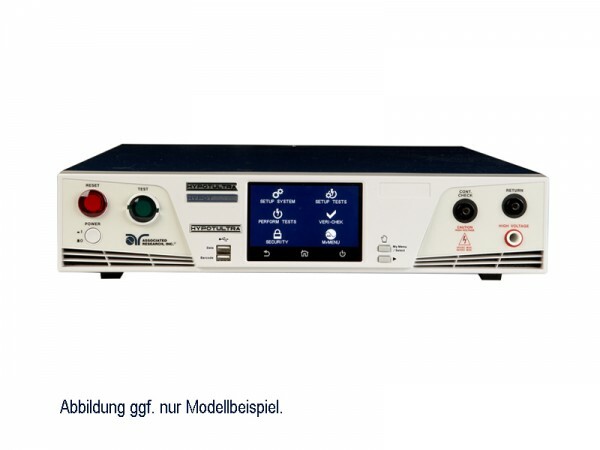 Weiterführende Links zu "AR: HypotULTRA (7800) DC Hipot Tester"